Google is keeping busy with changing and evolving constantly, adding new features and generally keeping us on the lookout for their next announcement. One of the bigger changes Google introduced lately for us marketers is the “New AdWords Experience” – a new interface for Google AdWords which, according to Google, is 20% faster than the old interface and presents new data visualization that includes colorful graphs, charts and heat maps – breaking down data verticals such as Devices and Time segments, and making data analysis easy and approachable at a glance. We can encounter these new features on the “Overview” page, which provides instant highlights for performance and insights in several “Summary Cards”, each showing a different visualized analysis. But the New Google Experience interface doesn’t end there. 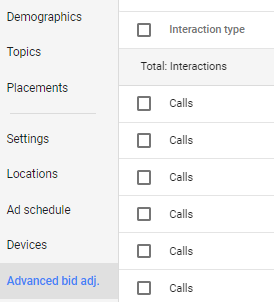 Other than providing a user-experience improvement with a new UI skin, the new AdWords interface contains features that are solely available in the new interface and not available in the old one. You heard right – only in the new UI. As you may have heard once or twice, Google is now shifting its efforts to Universal App Campaigns (UAC), which include all of Google’s platforms – Search, Display, Play Store, YouTube and Google Partners. The newest generation of the UAC to date uses the tCPA bidding strategy titled “UAC for Actions”, which relies on machine learning to maximize the number of conversions at a set target cost-per-action. Google is going all-in on this new campaign type, which took the lead for app campaigns starting mid-November 2017. Since UAC is becoming the main traffic channel for app install campaigns, Google is starting to provide more optimization options and transparency for us marketers, especially when it comes to the ad assets we use in our campaigns. This allows us to receive Google’s valuation of the performance of each creative asset we are using, and optimize accordingly. The new UAC for Actions campaigns are only available to open, review and optimize on the new AdWords Experience interface. Google recently announced Promotion Extensions to their list of ad-extensions. 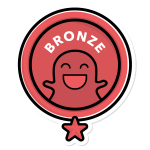 These extensions present special offers and discount promotions below our text ads, thereby increasing visibility and attracting customers to direct offers – a great way to increase value for ads. The new promotion extensions are also only available via the New Google Experience interface. For those using the phone extension in their ads, the New Google Experience interface allows to set higher or lower bids for mobile search ads, in order for the call extension to appear more or less frequently in mobile search ads. This new option is available under the “Advanced bid adj.” tab, as seen in the photo below. Though only call extensions are currently available, Google refers to them as “interactions”, so other options for extensions may follow. With that being said, there are still features that are not yet available on the New Google Experience. So, for now, advertisers need to use both interfaces in order to enjoy all features, until Google will complete the transition to the New AdWords Experience interface. 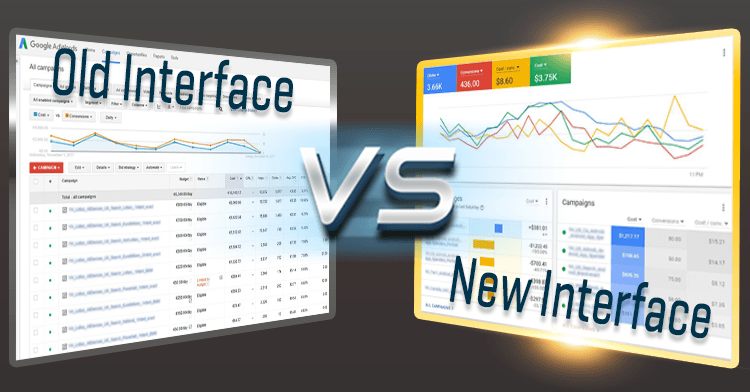 Although many advertisers got used to the previous AdWords interface, and although the transition to the new interface might be challenging for some, we do know that Google is putting a lot of effort into the new UI and we expect new features to be launched and be available only in the new Google AdWords Experience interface. Therefore, advertisers who want to be able to use all available features should already start shifting to the new UI. Have any questions about the new interface or the shift to UAC? Contact our Google User Acquisition experts!